SIMFEROPOL, June 01 /ITAR-TASS/. Crimea is switching over to the Russian rouble as of June 1. All double price labels will disappear at shops and all cash payments and noncash settlements will now be carried out in roubles. The Ukrainian hryvnia will get the status of a foreign currency. The Russian rouble became an official currency in Crimea soon after the republic had re-united with Russia on March 21. 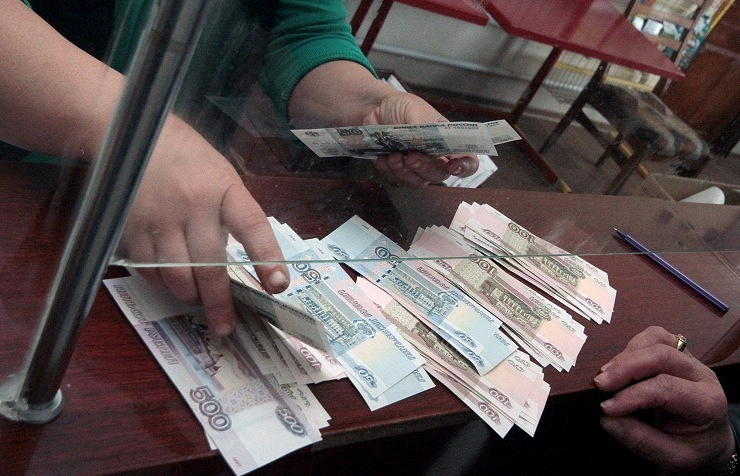 All bank transfers on the peninsula have been made in roubles since May 6. However, the Ukrainian hryvnia could be used for cash payments everywhere until June 1. On May 27, Russian President Vladimir Putin signed a decree the reduced the time of hryvnia’s circulation in Crimea and made the rouble the only legitimate currency on the peninsula for cash and non-cash payments for individuals and enterprises in Crimea and the federal city of Sevastopol. Until June 1, Crimean banks had changed hryvnias into roubles according to an official exchange rate set by the Bank of Russia. The time of circulation of the two currencies on the peninsula has been reduced by 18 months. Initially, the hryvnia was supposed to circulate alongside with the rouble until January 1, 2016. In this connection, the Bank of Russia has distributed a reminder note to the people of Crimea and Sevastopol via the Crimean banks. “All double price labels in roubles and hryvnias will disappear as of June 1; you will be able to buy goods in shops only for roubles. Payments for housing and utilities, taxes and collections should also be made in roubles,” the Bank of Russia explained in its note.